It’s been only a week since our Expressions of Interest page was published and already we have 19 names on the list. Quite a number of skippers had informally put their hands up for our next race and so we thought that it would be a good idea to find out just how many would let us know in writing, given the chance. There was a rush across the first few days and now almost daily, a new name is added to the list. The first to let us know was the crew of White Spirit Cyrus Allen and Franz Obermoser who sail out of the RYCV. 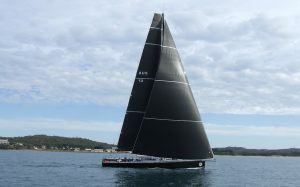 They will compete in a Beneteau First and both guys have said that even though the start is still over 4 years away, they know that the time will fly past as they prepare themselves for the race. Expressions of Interest have come in from all around Australia and so like the 2018 event, we’ll have crews heading to Melbourne from the four points of the compass. There are a number of boats from across the Tasman as well and it’ll be good to welcome competitors from New Zealand again as we have done in a number of earlier events. You’d think that for competitors who’ve just finished the Osaka Cup a few months ago, lining up again would be way down their list of things to do. But already there are some very familiar names appearing. Like Tristan Gourlay who with Jamie Cooper did the race on Force 11. Jamie signed up, with his co-skipper yet to be named and Tristan has let us know that he’ll be doing the race with his father Ken. You can see them pictured above sitting on Force 11 just prior to the start in March. 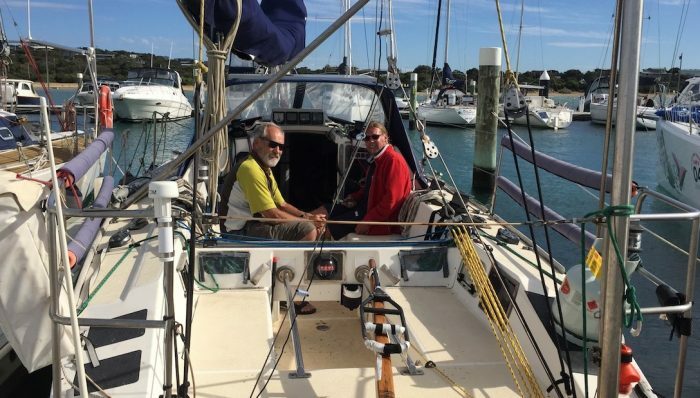 Ken, who has circumnavigated the world single handed and has held the world record for the oldest sailor to do so, obviously saw his son heading off on the adventure and announced he’d be there in 2023 as Tristan crossed the finish line. Some who unfortunately couldn’t start last time due to medical issues have quickly said they’re ready to go and it looks like the example set by race winners Rupert and Greg on Chinese Whisper has challenged the skippers of some of the bigger faster boats to join in. 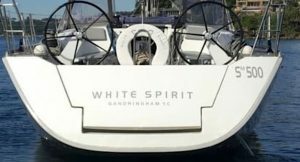 There’s already a couple of really fast boats on the list. Four and a half years may seem like a long time but crews that have done the race before will tell you that you never have enough time to prepare for such a grueling event. For the competitors in 2023 and for those who will organise the event, the opportunity of getting started is welcome. The energy from the competitors for 2023 can already be felt.